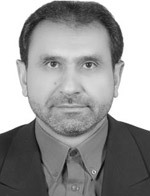 Currently, he is in Vice Chancellor for Academic and Research, University of Bojnord, Bojnord Iran. His international experience includes various programs, contributions and participation in different countries for diverse fields of study. His research interests reflect in his wide range of publications in various national and international journals. He is the Editorial Board Member of many Journal and serves as a member of various associations, apart from being an author for many books.